As part of our broader commitment to improving accessibility across the airport and providing a more comfortable and inclusive experience, we have delivered an innovative new 306 square metre bathroom set at T1 International that includes an assistance animal toilet. The bathroom set – located at T1’s airside Arrivals area – includes Changing Places-accredited bathrooms, which provide full-size change tables and hoists to assist people with profound disabilities. Common Care facilities have also been incorporated, along with a Parent Room that has achieved an Australian Breastfeeding Association five-star rating – the highest rating available. Our Parent Rooms allow babies and toddlers to be fed and changed in a safe, welcoming and easily-accessible space. The bathroom set also includes an assistance animal toilet and watering facilities. 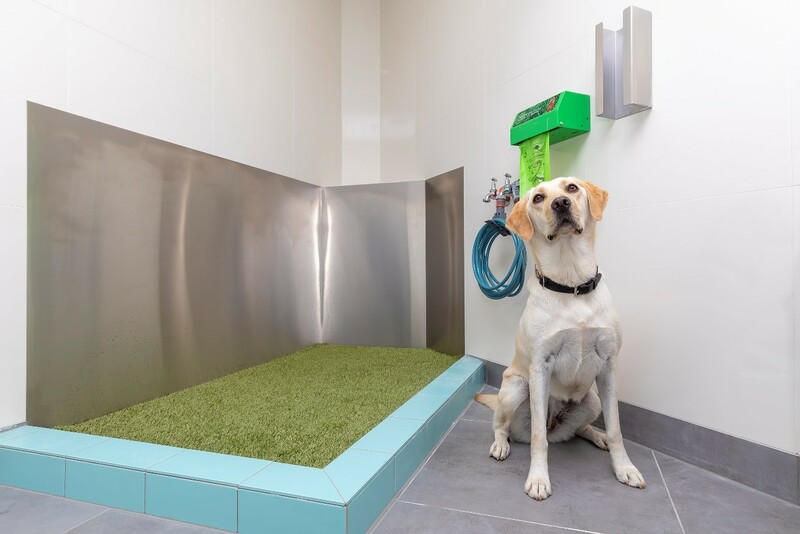 This facility is wheelchair-accessible and contains an artificial turf area, a wash-down facility for the turf, a disposal bin and a water bowl for the companion animal.